Since its inauguration in 2002, Natural Products Expo Asia (NPEA) has been acknowledged as a leading exhibition for natural, organic & health products in Asia. Approaching its 10th anniversary, the organizers are making efforts not only in execution of international pavilions as well as a highlighted theme �C “Healthy Aging”, but also in consideration of the physical and mental development of natural products’ users. Expo Asia has taken root in Hong Kong for 10 years and the organizers have decided to give back to the community by donating part of its revenue to a charity organization, the Children’s Cancer Foundation. Donation boxes will also be set up during the show period to encourage the participation of both exhibitors and visitors from HK & all over the world. In addition, organizers of Expo Asia are going to invite volunteers of the Children’s Cancer Foundation to have a healthy soup cooking demonstration on the public open day (i.e. 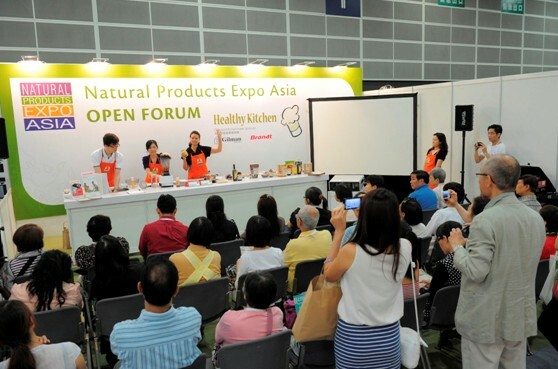 25 Aug, 2012) in Healthy Kitchen, a signature activity of Expo Asia. Attendees can come to source for premier natural products as well as to learn for the importance of healthy ingredients. For details about the schedule and demonstration, please pay attention to coming promotions. More than 40 exhibitors make their debut in NPEA 2012, bringing trustable, best-selling, and top-notch natural and organic products ranging from food and beverage, vitamins and supplements, skin care, personal care and cosmetics products, spa and supplies, ingredients, etc. 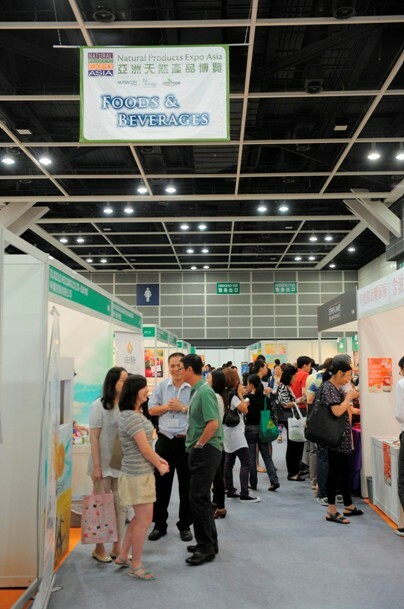 The origin of these companies also prove the internationalism of the coming show, such as Hutchsion Hain Organic (HK) Ltd. (Personal Care �C HK), BABI International Corp. Taiwan Branch (Foods & Beverages - Taiwan), CreAgri International Sdn Bhd (Foods & Beverages - Malaysia), Zen Bakery (Foods & Beverages - USA), Gaubau Kender (HK) Ltd. (Supplements - HK), Amazing Care Company Limited (Personal Care - HK), Nutra Summa (Supplements - USA), STP Mineral Therapy (Personal Care - HK), ONI Global Pte. Ltd. (Supplements - Singapore), Queenswood Natural Foods Ltd (Foods & Beverages - UK), just to name a few. Among all, Eu Yan Sang International and Pat Health Limited (Blackmores) are proud to be the sponsor of co-located education activity, Nutracon Asia 2012. Both companies are historical brands in Asia; their products as well as management wisdom do inspire other industrial players to open their new businesses. Eu Yan San and Blackmore will also play a keynote speaker on the trends of TCM and the Healthcare Industry & putting together science and marketing in developing products for baby boomers respectively. NPEA provides the best platform for product sourcing and up-to-date information exchange to the global natural, organic and health products industry. The show attracted 200 exhibitors, ~9,000 visitors from over 50 countries and regions in 2011 edition. NPEA is organized by New Hope Natural Media and Penton Media Asia Ltd., supported by various local and overseas organizations including United States of America �C Department of Commerce, Australian Trade Commission, New Zealand Trade & Enterprise, UK Trade & Investment, Hong Kong Tourism Board and invest HK, etc. NPEA will be taking place at Hall 3F-G, Hong Kong Convention & Exhibition Centre on 23-25 August, 2012.